My Cluttered Corner: Elle's Studio January Gallery AND a GIVEAWAY!! Elle's Studio January Gallery AND a GIVEAWAY!! OH MY GOSH! The Elle's Studio January 2011 Gallery is LIVE and it is INCREDIBLE. And I get to be in it!!! I still can't even believe it! I kept loading up the Elle's Studio blog this morning waiting for the post saying the gallery had gone live and when it did, I just sat there in awe watching all the designers slide shows over and over. Seriously, take some time and check it out. Just click on each designer's photo and you will get to watch a slide show of their projects from this month. TONS of fabulous inspiration. Here is the GALLERY. Now that the gallery has been revealed I can share my projects with you here too! For this first layout I used several of the new Elle's Studio 8x8 papers, the Owl Love You Forever Sweetheart Tiny Tags, Owl Love You Forever Tiny Tags and the Sweet Stitches Note Tags. I am in LOVE with the new papers and the whimsical shape of the hearts. 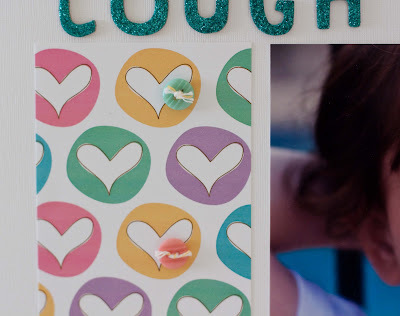 For this layout, I used the Birthday Journaling tags. By stacking three on top of one another I was able to place my title and journaling throughout one line saving me lots of room for a 5x7 photo and some fun layered papers. 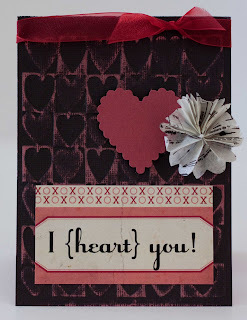 using two Lovely Vintage Valentine Tiny Tags layered on top of one another. 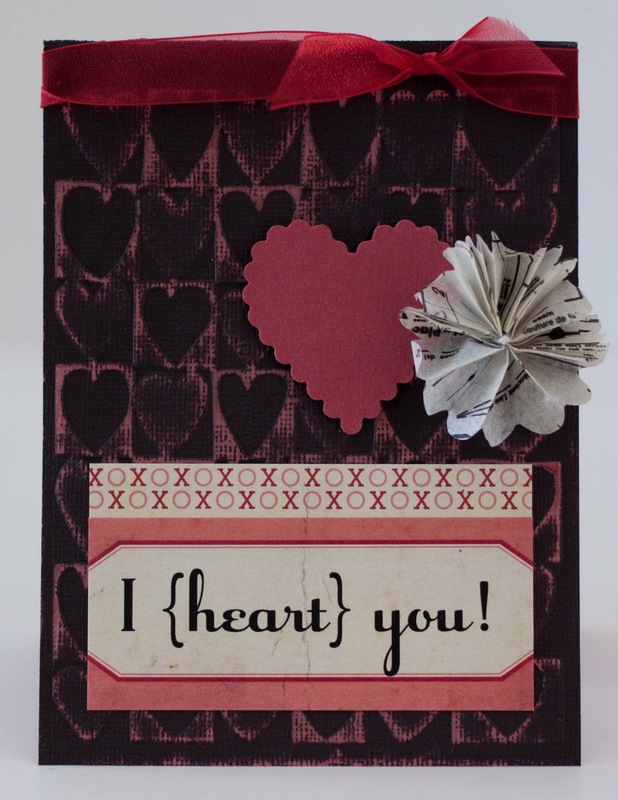 I embossed a piece of Core'dinations Black Magic cardstock and sanded it to reveal the red, punched a heart from the same cardstock and used the color side and added a Studio Calico notion and some ribbon to top it off. 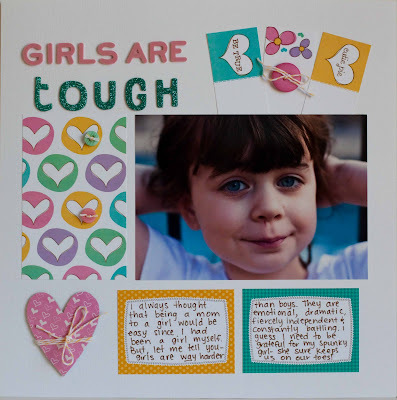 All you have to do is follow my blog and leave me a comment here and you will be in the running for this super cute and versatile stamp set. (heck I may even throw in some other fun Elle's Studio goodies that I purchased last year!) If you want another entry, go over to the Elle's Studio blog and leave some love there (just be sure to leave me another comment here telling me you did!). I'll leave the giveaway open all week (until Friday January 28th) --the more comments there are, the bigger the prize! Oh Rebecca ~~ your 'creative-ness' is wonderful! L.O.V.E. the V-day card. I'm a tag & button fanatic, so am luv-ing what you've done. You rock! I can't wait to check out the gallery. I love your layout about your girl and I agree...girls are tough. Love the card, too! OOO these are delish Rebecca, I am off to check the blog now, i just saw all the goodies that Gail recieved in her DT pack, lucky lucky ducks! HiI have checked the gallery today! loved it and love your projects!! really beautiful and inspiring!! congrats!! Rebecca, so excited for your Elle design team status - how fun is that??!! Can't wait to see what you have in store for us in 2011! Your projects are just so lovely! And yes please throw my name into the drawing hat. That stamp set is fabulous! Beautiful pages Rebecca. So beautiful! You are so right about all the amazing stuff in the gallery. I spent some time there this morning. Your layouts are amazing but I really, really like the Birthday one! Thanks for the inspiration! What beautiful lay outs! So bold and colorful! Love your Valentine's day card! Thanks for head's up to the gallery! I love your colourful layouts and that card is lovely! Love the embossing on the card! Awesome layouts Rebecca! I saw these in the Elle's Studio Inspiration Gallery! Isn't she just the best! Talk about a dream job! Lucky you!! What darling creations you've made with this!! I adore that Wishes 4 You page! 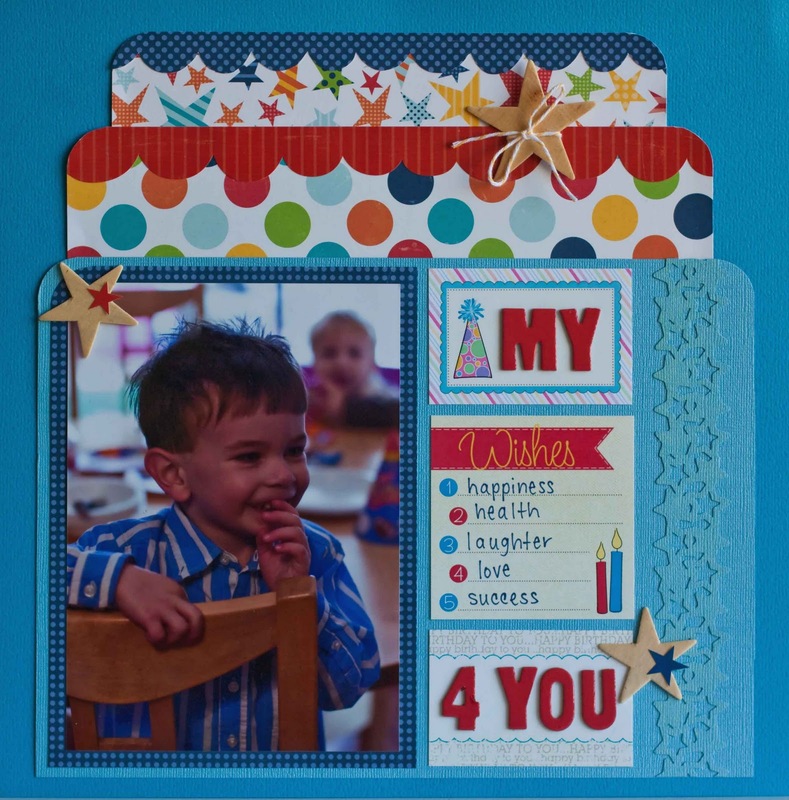 I really love how you created paper tiers on your son's layout. Love your layout. I am now a follower. thanks for the inspiration and the fabulous layout. My wishes for you LO is one of my favories of yours. SO CUTE! love the cake (paper layering)! So creative! !